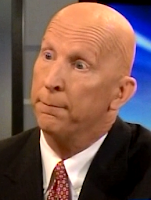 DemoCurmudgeon: Rep. Duey Stroebel won't raise gas taxes, saying "Wisconsin Drivers are Taxpayers" forgetting about out-of-state drivers! Rep. Duey Stroebel won't raise gas taxes, saying "Wisconsin Drivers are Taxpayers" forgetting about out-of-state drivers! "Taxing advocates point to the perceived deficit in transportation funding. This projected deficit assumes, in part, continued large future spending on highway expansions." Wrong. Maintenance is the biggest issue facing the state, and some expansion during fix up is smart and necessary, due to population shifts. Of course Scott Walker and Duey Stroebel’s pirates haven’t done anything about public transportation, so big surprise. "They dismiss the idea that some expansion projects could be delayed even though traffic counts have remained largely flat statewide." "I strongly support the governor’s realigned priority of highway safety and maintenance over further expansions." Love all that safety and maintenance we’re…wait, did I miss that? "Additionally, conservatives in the Legislature will continue to promote the implementation of efficiencies to solve any DOT budget challenges the same way we have the past few years — bold, courageous reforms." The only thing bold and courageous about letting the roads crumble to dust is their steadfast refusal to do anything it. 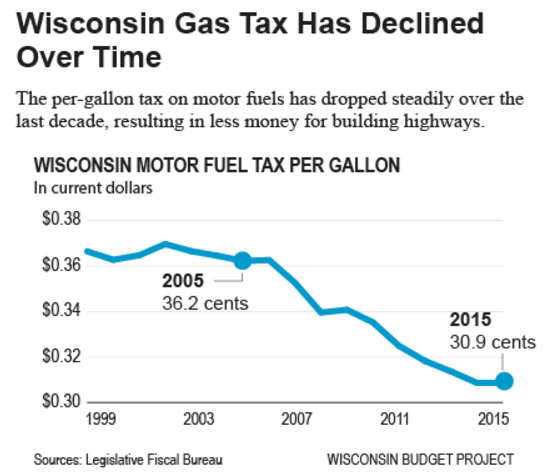 Lumping Everything Together: Walker and Stroebel want us to look at all state taxes, instead of the actual decline of our gas tax. 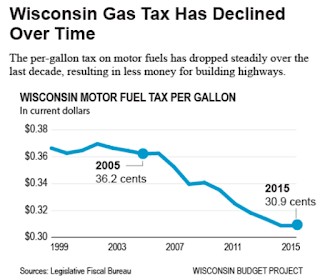 "Even though Wisconsin’s gas tax is among the highest in the nation, those advocating for a tax increase claim that Wisconsin drivers pay less to operate a vehicle than in other states. This statement is true only when ignoring that drivers living here pay other Wisconsin taxes far and above at least 40 other states. Wisconsinites’ tax burdens should be compared in their entirety." But out-of-state drivers aren't taxpayers, and they use out roads too!!! "We conservatives have always addressed challenges by fixing them, not raising taxes." Republicans don't fix problems, they run from them, and then look like their doing something by cutting taxes again and again and again. Freeloaders all. It doesn't matter if taxes pay for services, old and new, that's something they want to leave to their kids. You can't get health care, buy food, replace your central air, furnace, roof, or car by cutting your yearly income. Unless they've found a way to do that too.